Here’s a list of just a handful of the many interesting and inspiring castles, houses, gardens and historical properties that can be found in the area around Rushlake Green. Click a link to go to a precise from each relevant website, and we apologize in advance for any inaccuracies. We have omitted any mention of opening times as these may change at any time without our knowledge. We suggest you refer to the websites concerned for opening times and directions. If you can think of any other locations that we could include in this listing, please let us know by emailing rushlakegreenvillage@googlemail.com with the details. Similarly, if you have personal experience of any of the places mentioned, and would like to add a comment or recommendation, please contact us with your suggested extra or modified text. Set in the wooded landscape of the Sussex Weald, this Elizabethan Ironmaster’s house with its mullioned windows and oak beams was the home of Rudyard Kipling. The rooms remain much as he left them, with oriental rugs and artefacts reflecting his strong association with the East. The Cathedral’s history goes back to 597AD. In 1170 Archbishop Thomas Becket was murdered in the Cathedral and ever since, the Cathedral has attracted thousands of pilgrims, as told famously in Geoffrey Chaucer’s Canterbury Tales. In 1916 the artists Vanessa Bell and Duncan Grant moved to Sussex and over the following half century Charleston became the country meeting-place for the group of artists, writers and intellectuals known as the Bloomsbury Group. Inspired by Italian fresco painting and the Post-Impressionists, the artists decorated the walls, doors and furniture at Charleston. The walled garden was redesigned in a style reminiscent of southern Europe, with mosaics, box hedges, gravel pathways and ponds. Dover Castle known as ‘The Key to England’ has over 2000 years of history. Its spectacular site above the famous ‘White Cliffs’ was originally an Iron-Age hill fort, and still houses a Roman lighthouse. The Anglo-Saxon church beside it was once part of a Saxon fortified settlement and here, soon after his victory at Hastings in 1066, William the Conqueror raised the first Dover Castle in earth and timber. Although eighteenth century in appearance, Firle Place was originally built in Tudor times on the site of an earlier house by Sir John Gage. Much of the original building remains beneath the eighteenth century masonry and plasterwork of the house today. Firle,?Lewes,?Sussex?BN8 6LP Contact Peter or Penny on 01273 858 307 for more information. ? The original house at Dixter, Northiam, which dates from the mid 15th century, was acquired by a businessman named Nathaniel Lloyd in 1909. He had a 16th century house in a similar style moved from Kent and the two were combined with new work by the architect Edwin Lutyens to create a much larger house, which was rechristened Great Dixter. The result is a romantic recreation of a medieval manor house, complete with Great Hall, Parlour, solar and yeoman’s hall. Nathaniel Lloyd and Lutyens began the garden at Great Dixter, but it was Nathaniel’s son Christopher Lloyd, a well known garden writer and television personality, who made it famous. The garden is in the arts and crafts style, and features topiary, a long border, an orchard and a wild flower meadow. Glynde Place, home to the VIth Viscount and Viscountess Hampden, is a magnificent Elizabethan manor house sitting high on the Sussex Downs, looking out over the weald. Originally built in 1569, it has been lived in by only three families in over four centuries. Inside, the house is a treasure trove of portraits and artefacts, including furniture, silver, china and embroidery collected by the families who have lived there over the centuries. Today, Glynde Place offers a glimpse of life in a traditional English manor house, from its origins over 400 years ago to the present day. The gardens – from small courtyards to the formal lawns and the swathes of wild flowers through the sculpture garden and wooded copse beyond, are a particular interest of the current Lady Hampden and are a delight to wander in, set against the backdrop of this splendid house and the Downs beyond. The Friends of the Home Physiotherapy Service (Sussex) support the community physiotherapists working with both children and adults across East Sussex. They pay salaries and buy equipment for both the physios and their patients. Last year they spent more than £40,000 on the Service. Of this £14,300 funded the Older Person’s Home Physiotherapy Service in Hastings & Rother which treats patients over 80 years of age to help them to maintain their balance and mobility and hence decrease the risk of falls and hospital admissions. The Friends are the sole funders of this service. A further £12,000 was spent on locum cover for a physio in the Brighton area. The remainder of the money was spent on salaries and equipment for the paediatric service in Uckfield, Peacehaven & Ouse Valley, Eastbourne and Hastings & Rother; equipment for the Sussex Partnership Learning Disability Team; and equipment and salaries for the Physiotherapy at Home teams based in Hailsham, Eastbourne, Hastings and Rother, Lewes, Newhaven, Crowborough and Uckfield. Full details of the Friends and the gardens are on our website www.friendsofhomephysio.org or from Jill Davies 01580 860386. Nine gardens opened in Hellingly in May raising the marvellous total of £6,380 and a further £550 was raised with the open garden at Penns Rocks in Groombridge in June. 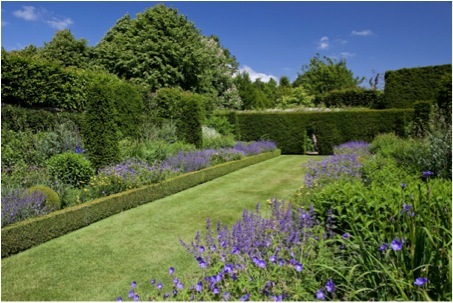 On Tuesday 9 August Lady Collum will give a guided tour of her beautiful garden at Fletching. Numbers are limited so it is necessary to book. Tickets are £12.50 per person and are available from Jill Davies on 01580 860386. Teas will be available in the Orangery after the Tour. 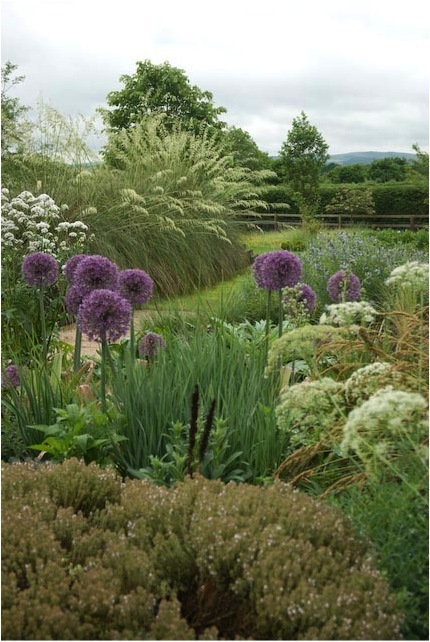 On Sunday 18 September Lucy and Graham Marchant will give a guided tour their marvellous nursery, Marchants Hardy Plants, in Laughton. Again, it is necessary to book. Tickets are £10 per person and available from Jill Davies on 01580 860386. There have been three main periods in the construction of this historic castle. The oldest part of the castle dates to 1270 and consisted of the gatehouse and a walled bailey. In the early 1500s the Bullen family bought the castle and added a Tudor dwelling within the walls and so it became the childhood home of its most famous inhabitant, Anne Boleyn. It later passed into the ownership of Henry’s fourth wife, Anne of Cleves. From 1557 onwards the Castle was owned by a number of families including the Waldegraves, the Humfreys and the Meade Waldos. Finally, in 1903, William Waldorf Astor invested time, money and imagination in restoring the Castle, building the ’Tudor Village’ and creating the gardens and lake. One of the most magnificent areas of the gardens is the Italian Garden, which was designed to display William Waldorf Astor’s collection of Italian sculpture. The garden has now reached its full maturity and includes the colourful walled Rose Garden which contains over 3,000 plants. There are many water features around the gardens, including Half Moon Pond, the Cascade Rockery, the cool and shady grottoes, the formal loggia fountain based on the Trevi fountain in Rome, and the more informal Two Sisters Pond. Other areas that you can stroll through include the Tudor Garden, Rhododendron Walk and along Anne Boleyn’s Walk with its collection of trees planted over 100 years ago. Hever Castle Ltd?Hever?Nr Edenbridge?Kent TN8 7NG?Tel: 01732 865224? The Saxon manor of Esledes was an ideal place for the descendant of one of William the Conqueror’s lords, Robert de Crevecoeur, to fortify and build a castle in 1119. Leeds Castle passed into royal hands in 1278 and became part of the Queen of England’s dower – the settlement widowed queens received upon the death of their husbands. Over the course of 150 years it was held by six mediaeval queens: Eleanor of Castile; Margaret of France; Isabella of France, Joan of Navarre; Anne of Bohemia and Catherine de Valois. In Tudor times Henry VIII visited frequently, notably with his Queen, Catherine of Aragon, and their entire court on the way to the tournament of the Field of the Cloth of Gold, which took place in France in 1520. Henry’s son, King Edward VI, granted the castle to one of Henry’s courtiers for his services. Leonardslee gardens has been sold by the Loder family to an international businessman. At present he has no plans to open the gardens to the public, and as a result the gardens will only be open until the 30th June 2010. Boasting England’s longest medieval water-filled moat, Michelham Priory’s “Island of History” reflects its nearly 800 year existence. The house dates back to 1229 when the Priory was founded and was lived in by Augustinian canons until the Dissolution in 1537. After this time, the Church of the Holy Trinity was destroyed and the house underwent various transformations including the addition of an extensive Tudor wing. The range of furniture and artefacts on display trace the property’s religious origins through its life as a working farm and its development as a country house. Exhibits include tapestries, furniture (including some made in the 1920’s/1930’s specifically for the then owner), kitchen equipment and a fully furnished 18th Century child’s bedroom. Pashley Manor is a quintessential English garden located on the Sussex and Kent border in the heart of South East England’s garden country. Pashley offers a sumptuous blend of romantic landscaping, imaginative plantings and fine old trees, fountains, springs and large ponds. Mr and Mrs James Sellick are the owners and inhabitants of Pashley Manor, a Grade I listed timber-framed house, dating from 1550 and enlarged in 1720. They opened their gardens to the public in 1992, having brought them to their present splendour with the assistance of the eminent landscape architect the late Anthony du Gard Pasley and their team of gardeners. Set in the rural Weald of Kent surrounded by picturesque countryside and ancient parkland, Penshurst Place and Gardens has changed little over the centuries. This mediaeval masterpiece has been the seat of the Sidney family since 1552 and retains the warmth and character of a much-loved family home. At the heart of the mediaeval manor house lies the Baron’s Hall, ?with its awe-inspiring 60 foot high chestnut roof, supported by satirical representations of peasants and estate workers at the time. A rare ?surviving central octagonal hearth in the centre of the hall, still lit on special occasions, formed the focal point of the household, where ?servants and estate workers slept, ate and lived out their lives, whilst ?the Lord of the Manor and his family resided upstairs in the Solar. Another of Penshurst’s splendours is the 11-acre formal walled garden, with records dating back to 1346. One of the oldest gardens in private ownership, it remains much as it was when constructed by Sir Henry Sidney in the Elizabethan era. Central to his ambitious project was the creation of the acclaimed Italian Garden, which involved shifting thousands of tons of earth and building an ingenious system of walls and terraces.